A rather interesting discovery was made over at WindowsPhoneApps.es. 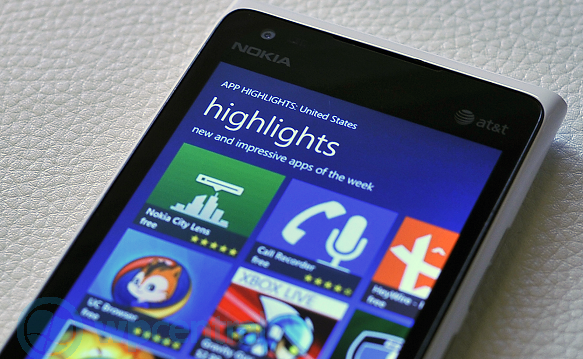 Should you make use of the search functionality in Nokia App Highlights for Windows Phone, you'll be able to check out apps that are not yet available on the official store. This is a pretty revealing find that alerts everyone to what consumers can potentially expect to see in the future. The first publishers to be searched were of course Nokia and Microsoft, both populating the results page with numerous apps that have yet to hit the Windows Phone Store. But if you've yet to try this out, you might be out of luck. The loophole has since been fixed. Luckily, we managed to take some shots before our access was slashed. 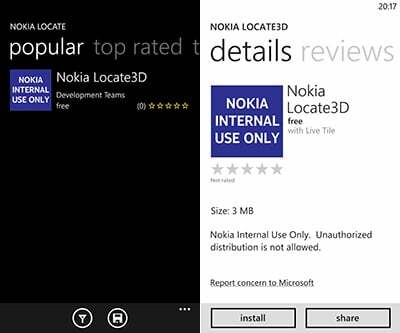 As one can see from the images above, apps such as Nokia Locate3D are listed and can be viewed as though the apps are available for consumers. As noted above, the bug has been fixed with the Spanish website informing Microsoft of the issue. Unfortunately we had limited access before the app ceased to work and on launching App Highlights again made us aware that search capabilities were lost - we were unable to attempt to download mysterious apps. Other apps listed included beta versions of WhatsApp, Myspace, as well as internal applications by Nokia marked with the message "Nokia Internal Use Only." Ouch. The one app that everyone would be interested to hear listed was absent. Instagram was not spotted, but this shouldn't be seen as evidence pointing at the app not heading to the mobile platform. Source: WindowsPhone.es; thanks to everyone who tipped us!